Angola’s elections body on September 6 released final results of the August 23 polls. The ruling MPLA won by 61% picking 150 seats in the 220 seater parliament. 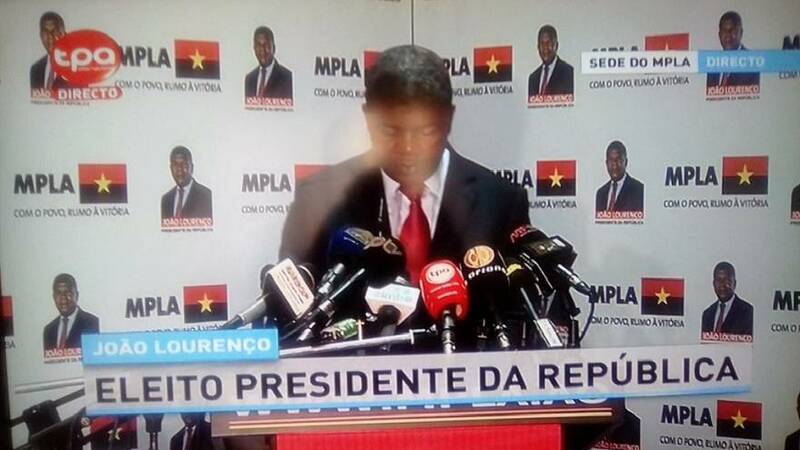 Former Defense Minister, Joao Lourenco, was also declared president-elect. He takes over from long serving Jose Eduardo dos Santos – who served as president for 38 years. The polls were largely said to have been held smoothly and without incident across the country. The CNE has previously described the vote as one that met international standards. Six parties took part in the polls all aiming to take over the seat of outgoing President Eduardo dos Santos. The political parties include the ruling MPLA led by Joao Lourenco, main opposition UNITA led by Isaias Samakuva, CASA-CE, FNLA, PRS, APN.